I am launching a new mini-series on my blog. Hopefully, once a week I will be featuring a family who uses more than one language. Quite a few blogs are now featuring interviews from other multilingual families. I think it is a great idea and I wanted to do something similar but with a more focused angle. The literature often reports and focuses on ideal situations where one parent speaks one language. But there are many different types of multilingual families, all very successful. 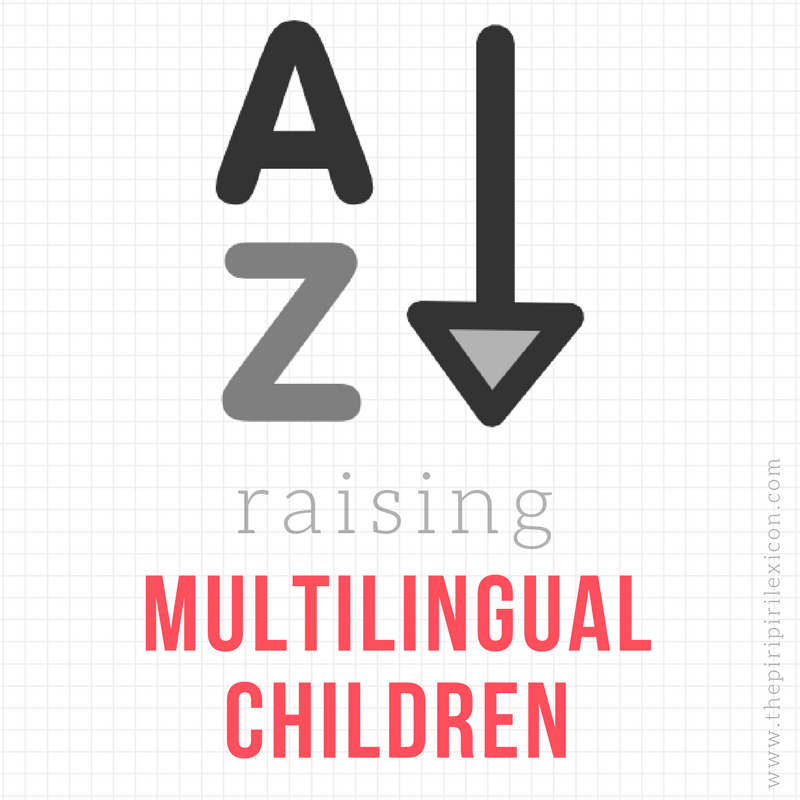 In this series, I will be posting interviews with multilingual families. They answer questions relating to their multilingual family settings and how it works (or not) for them. Who speaks what, how and why? Our first instalment this week is from Michelle. Many thanks Michelle for taking the time to answer my questions. We all speak Afrikaans at home. English outside of the home. Our 8-year-old is in a Spanish Immersion program (public school), so she hears mostly Spanish at school. We are all trying to learn Spanish as a family, so our 10-year-old has piano lessons in Spanish. We did some reading before we had kids, and decided to only speak Afrikaans at home to them. They don’t have the chance to hear a lot of Afrikaans outside of our home, other than when we visit family in South Africa. We like the immersion experience: when we visit family in South Africa, usually for extended time periods (3-10 months at a time), they only hear Afrikaans. When we lived in Mexico (3 months), they only heard Spanish. We can see how their language skills in the language we are in, surge overnight. We are not good at “working” on our language skills. If it doesn’t happen on its own, we don’t learn it. The girls may be fluent in Afrikaans, but we haven’t worked on reading and writing. That will be the focus of our next immersion. I would make more of an effort myself to learn Spanish. At this stage our 8-year-old has to help me translate most of the time! It is fun to “become” a trilingual family – I know that it is forever a journey, and that each person or family’s journey is unique. I love our journey, and can only dream about what the future will bring to us. This is such a great idea, and I loved reading another family's experience of bilingualism. I thought the question "what would you do differently' was particularly interesting! Thanks Fiona. I think we all learn from others' experiences. That's why I wanted this little series.